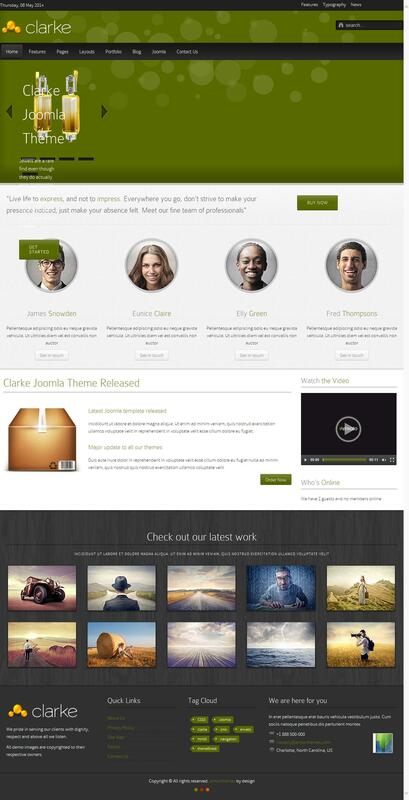 TF Clarke - elegant business template from the popular to the world trading platform ThemeForest. Gorgeous design layout is perfect for creating websites cards of different companies. Used in the template platform Warp framework, working with the latest technologies HTML5 and CSS3. Pattern characteristic of fast loading, support JS compression and full support for mobile platforms. Native integration ZOO component will provide new functionality in the publication of materials on the site. Availability 8 preset color styles and 12 background textures, will help you choose the best look of the site and give it an original and unique design.